​We are seeking a highly motivated Quality Engineer to work in a fast-paced environment that fosters teamwork, change, risk-based decision-making and flexibility. 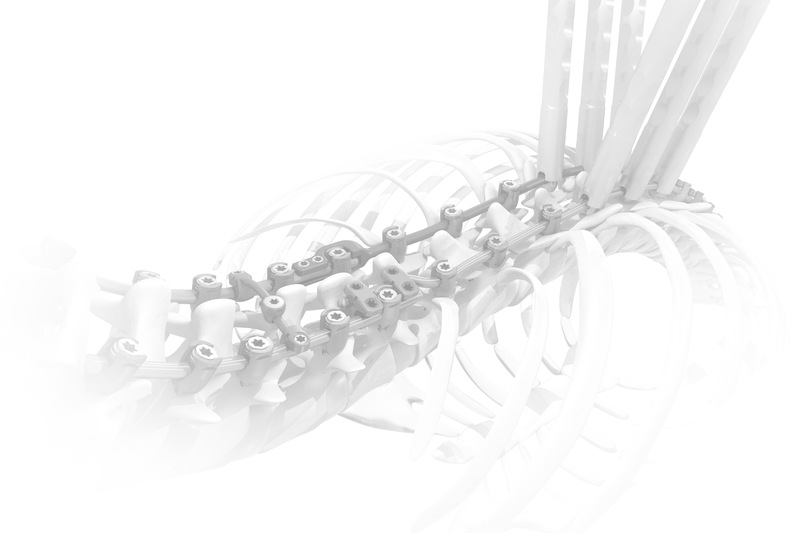 The Quality Engineer will support all new spine implants & instruments development activities and associated manufacturing processes and will actively participate in continuous improvement and support activities of existing products. This individual will develop and improve on risk assessment, inspection methodology and acceptance criteria for inspection sample plans and conduct audits of new suppliers as part of the project teams. The Quality Engineer will be able to communicate effectively at all levels within Quality as well as cross functionally with departments such as R&D, Regulatory, Operations & Manufacturing, and Marketing. Participate in the evaluation and approval of contract-manufacturers/suppliers. Participate in conducting suppliers’ audits as required. Ensure that vendors Process FMEA is compliant with ISO 13485 and cGMP requirements. Help develop, qualify, and validate methods of inspection, testing, and evaluation. Help establish internal and external inspection requirements. Review, approve, and implement inspection plans. Support product design transfers to contract-manufacturers/Suppliers. Work with suppliers to establish & manage required gages. Participate in risk analysis activities at different phases of products development, production and commercialization. Participate in the review and approval of Engineering Change Orders and the review and approval of detailed drawings. Participate in Product Design Verification & Validation. Participate in analyzing customers complaints to determine root cause. Participate in reviewing collected data and trends to make them available for the periodic update of product Risk Management. Participate in the review, update, and implementation of procedures affecting quality assurance. Participate in the review of external reference documents related to the company Quality Management System to ensure that necessary updates are applied to the company procedures and implemented. Participate in developing internal training sessions on quality and compliance issues as necessary. Must have 6+ years Quality Engineering experience with at least 4 years in orthopedic, spine or similar surgical products setting. Validations experience a plus. Working knowledge of FDA QSRs, ISO 13845, MDD & other international medical device regulations, and the application of Advanced Quality tools such as Failure Modes Effect Analysis (FMEA), GD&T, SPC, and Root Cause Analysis. 2D & 3D CAD (SolidWorks and/or ProEngineer) experience is a must. Must be positive, energetic team player, and an advocate for product excellence and quality. Candidate must be results oriented, quick learner, respond to the urgent needs of the team and show a strong track record of meeting deadlines. Bachelor’s degree in Mechanical or Manufacturing Engineering is required. Master’s Degree is preferred. SpineCraft offers a generous compensation and benefits package that includes comprehensive medical, dental, and vision insurance benefits plus a 401K retirement plan. Salary is competitive and commensurate with experience. ​We are looking for a Quality Control Inspector to join our growing team in Westmont, IL. Perform incoming inspection and test of components, packaging materials and final product in compliance with company procedures and ISO / FDA / GMP standards. Conduct analysis, inspection, and trending in accordance with inspection plans, work instructions and other quality standards. Review and maintain all inspection documentation. Review device history records for product lot releases. Read and interpret engineering drawings, work instructions, inspection plans, and other forms. Inspect incoming parts according to blue-print & drawing specifications. Ensure all documents and data obtained during quality assurance activities is consistent with company policies and procedures. Prepare Non-Conforming Materials Reports and follows up on Corrective Actions that are issued. Identify problems and recommend product improvements related to inspection. Other special projects/duties as assigned in support of quality department and other business needs. 2+ years of working experience in a fast paced manufacturing environment; medical device experience preferred. Experience with & knowledge of calipers, optical comparators, bore gages, digital height gages, O.D./I. D. micrometers, indicators, Rockwell testing, gage pins/blocks, blue-print reading, Geometric Dimensioning & Tolerancing (GD&T) and microscopes. The ability to multi task in fast paced environment. Duties performed will be in a first piece and final inspection type function.